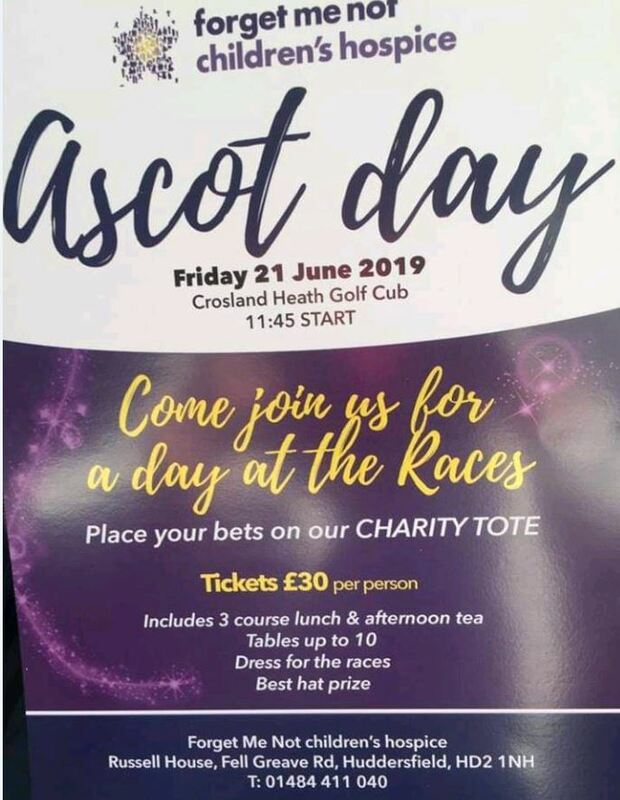 Ascot Day – Friday 21st June 2019, Crosland Heath Golf Club. 11:45am start. Come and join friends of forget me not for a day at the races. Place your bets on the charity tote. Tickets £30 per person. Includes a 3 course lunch and afternoon tea. Tables up to 10. Dress for the races. Best hat prize.